I was first introduced to MAC Mineralize Skinfinish Natural on Zoe Clarks Bridal Course (http://www.zoeclark.com) and it’s become my everyday make-up since then. I’ve never been a girl who wears lots of make-up on a daily basis, as I like to let my skin breath as much as possible but then also like a little coverage to hide any imperfections so this suited me perfectly. While the MAC Face & Body would be my ‘going out’ or ‘special occasion’ foundation, this is my ‘day to day’, ‘can’t live without’ foundation. The first thing that I love about it is the fact that you can use as little or as much as you like to achieve the coverage you want. I would say that its really a light to medium coverage product as if you go too heavy you run the risk of it looking cakey. I use it with my MAC kabuki brush (182) which allows you to really buff it in and get a flawless finish which looks like you have nothing on at all. They don’t have a huge range of colours (there are 8, ranging from ‘Light’ to ‘Dark’) and I have 2, the ‘Light’ and the ‘Meduim’ which I use on their own or mix up depending on whether I have a bit of a tan or not. 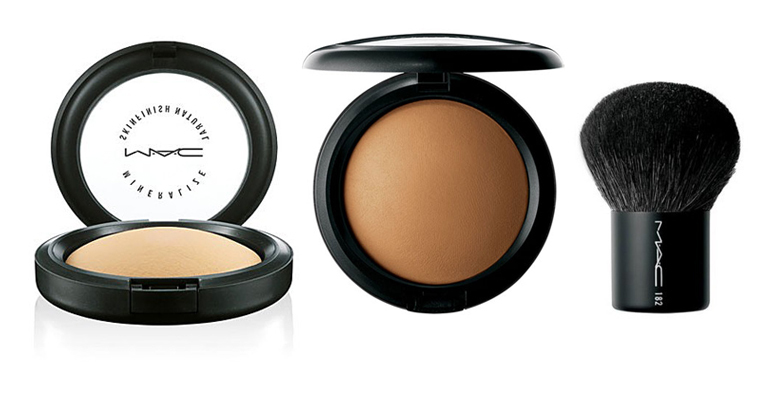 The other great thing about it, is it can also be used over your normal foundation as a powder or the darker ones can be used as a bronzer so it’s very multi-functional which is good on your purse! It last for ages too, I only replaced mine a few weeks ago after almost a year, so for 27Euro it’s great value. I found it doesn’t irritate my skin at all either, in fact I think it’s actually helped improve my skin since using it and I get quite shiny along my ‘T’ Zone so it’s great for mattifying the skin too. The MSN would also work great for summer brides who might be getting married away in the sun and need something that won’t melt away or cake your skin. Overall I just love this product and would highly recommend it especially as the summer approaches and you might want something lighter to wear.